Ultimate stopping power is achieved with balance of master cylinder size, pad surface area, and rotor diameter. 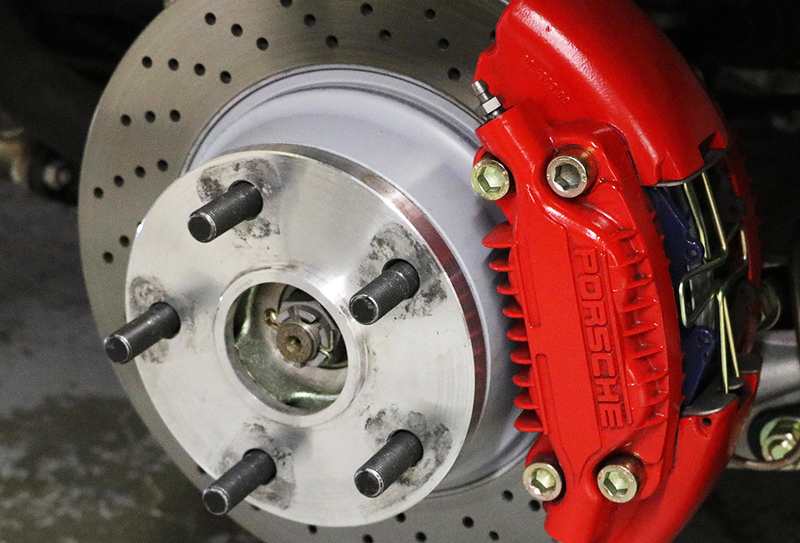 JWE Motorsports offers simple brake service to full upgrades using high quality parts from Porsche, ATE, Brembo, AP, and Performance Friction. If your vintage brake calipers are in need of a service, give JWE a call. Demands on the brake pads and rotors vary on use. We have the experience and knowledge to choose the right combination for your needs. Brake later with your existing calipers and rotors by adjusting the brake bias. 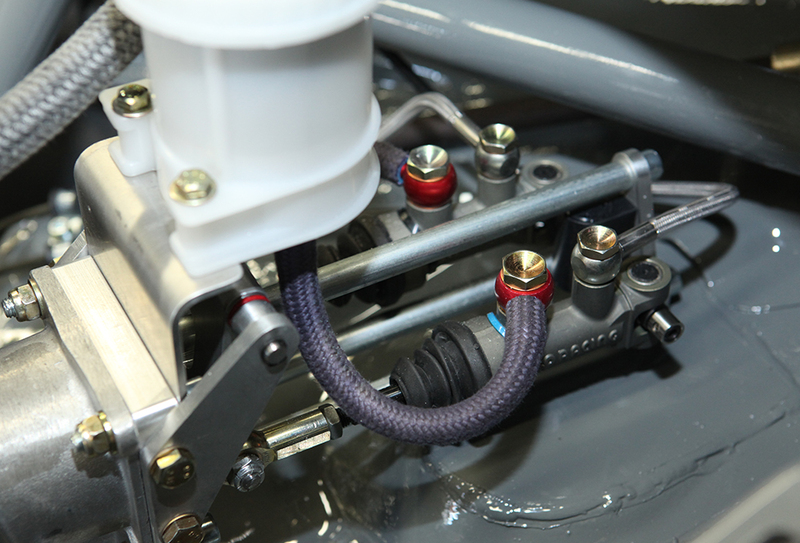 JWE's twin master cylinder kit for 911 1977-89 allows you to make brake bias adjustments from the cockpit. 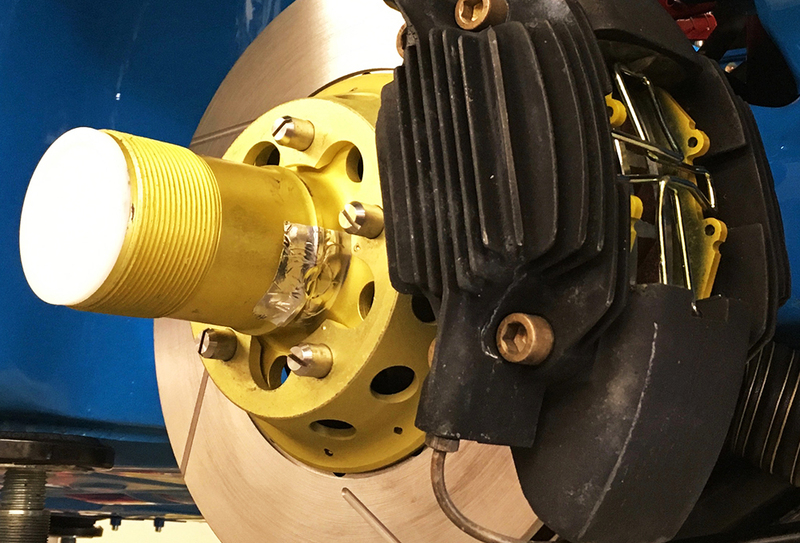 It's a bolt-in kit utilizing AP clevis master cylinders and balance bar. Easy to adjust from the cockpit with the adjusting cable provided. Lower your lap times by improving the brakes you already own. Do you own a 1976 or earlier chassis? Update your trunk and pedal box to feel the difference of the JWE twin master cylinder kit.